“So where do I go from here?” Mara asked. 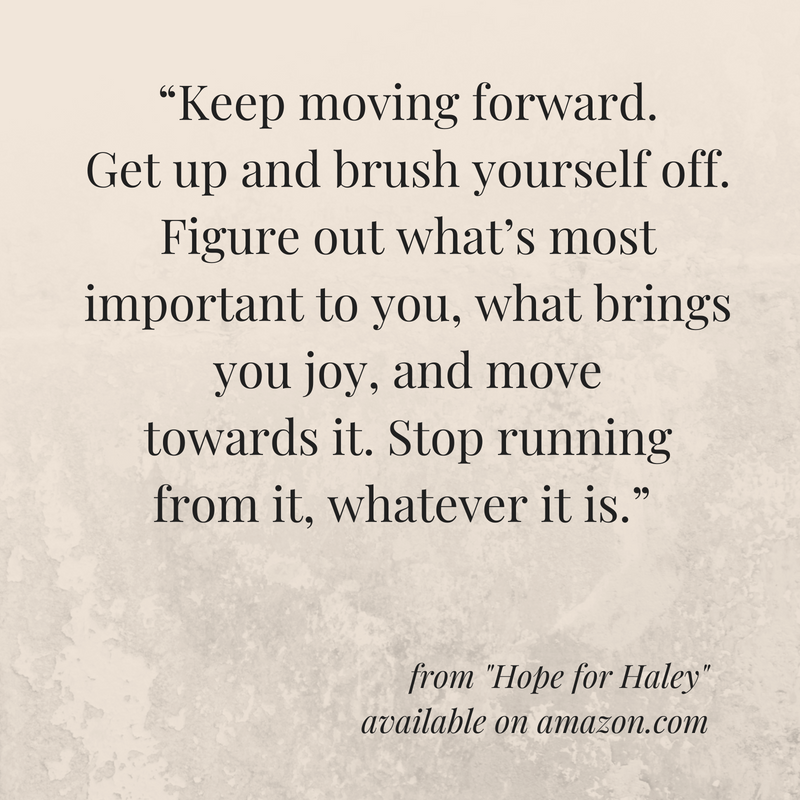 “I think you keep moving forward, one step at a time,” Helen said. “I’m not sure I even know what that means,” Mara said. Mara looked up at Helen. Helen sensed her guard go up. “It means you get up and brush yourself off. You figure out what’s most important to you, what brings you joy, and you move towards it. Stop running from it, whatever it is,” Helen said. 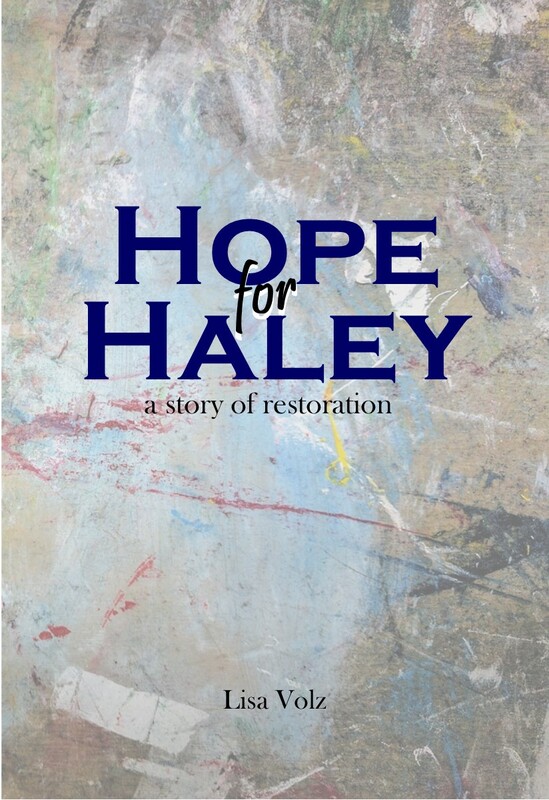 Hope for Haley is a women’s fiction novel about how three generations of women find hope in their fractured relationships and learn to heal old wounds. Check it out on Amazon, Kindle, and Barnes and Noble. Thanks for your support!